The recall of deadly Takata airbags is expanding to more recent car models, putting millions of additional drivers and passengers at risk. So far, more than 20 million cars have been recalled due to the risk of violent airbag explosions. But they were mostly in older cars -- typically model years no later than 2008. The age of the airbags was believed to be one of the factors that made them susceptible to exploding, said federal safety regulators. But the National Highway Traffic Safety Administration said that Takata is telling the 12 affected automakers that use its airbags that more recent airbags are also at risk of exploding. So Honda, the automaker with the most defective airbags in its vehicles, announced it will recall 2.2 million newer Honda and Acura models which have defective airbags in the steering wheel. But it said it will be summer before it has the replacement airbags it needs to make the swap. Other automakers are likely to follow suit soon, said Gordon Trowbridge, spokesman for NHTSA. "This will not be the last. This is just the first," he said. Even before this latest expansion, the Takata recall is one of the largest ever. Nine deaths in the U.S. have been tied to the exploding airbags, as well as numerous serious injuries. Shrapnel has been known to tear through the airbags and hit drivers in the face and neck. Honda said the affected models include the CR-V crossover (2007-2011), the CR-Z coupe (2011-2015), the Fit (2009-2014), the Insight hybrid (2010-2014), the Ridgeline (2007-2014) and its fuel cell sedan, the Honda FCX Clarity (2010-2014). Acura models in the recall include the RL (2005-2012), the TL (2009-2014), the ZDX (2010-2013) the ILX (2013-2016) and the RDX (2007-2016). For the ILX and RDX, not all 2016 model year cars are included in the recalls, just the ones made early in the production cycle. Honda dropped Takata as a supplier in November. Not all the cars in these model years will be included in the recall. Honda expects owners to be able to check using their VIN after Feb. 15 to see if their car needs to be fixed. Honda also sent a notice to dealers ordering them to stop selling any affected cars that might be in their new or used car inventories, according to a report in Automotive News. It also adds that dealers will be responsible for any lawsuits stemming from the sale of an unrepaired, affected car, according to the report. The fact that the Takata recall is still growing suggests that there won't be a solution to the problem for years to come, said Karl Brauer senior analyst for Kelley Blue Book. In fact, he said, many of the roughly 1 million vehicles that have already had airbags replaced may need to have those replacement airbags replaced as well. 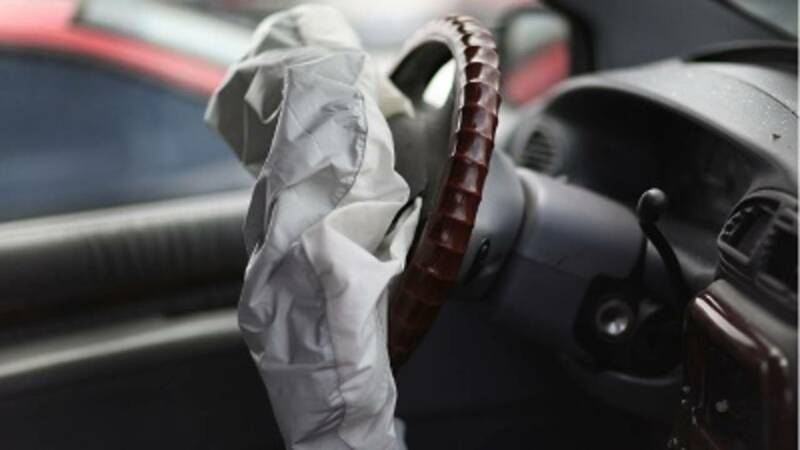 "The evidence indicated that it's an inherent design flaw of the material used to inflate the bags, not just an old airbag going bad after 8 or 10 years," said Brauer. "It's a problem for owners, for dealers, for the automakers. There's no good answer for any of them. There's no fix, no easy out. It's an expensive, time consuming mess."